Yesterday they took Samantha’s oxygen cannula out and today when I came in they had removed the tape! That means they don’t anticipate having to put her back on oxygen! Then the day got even better! 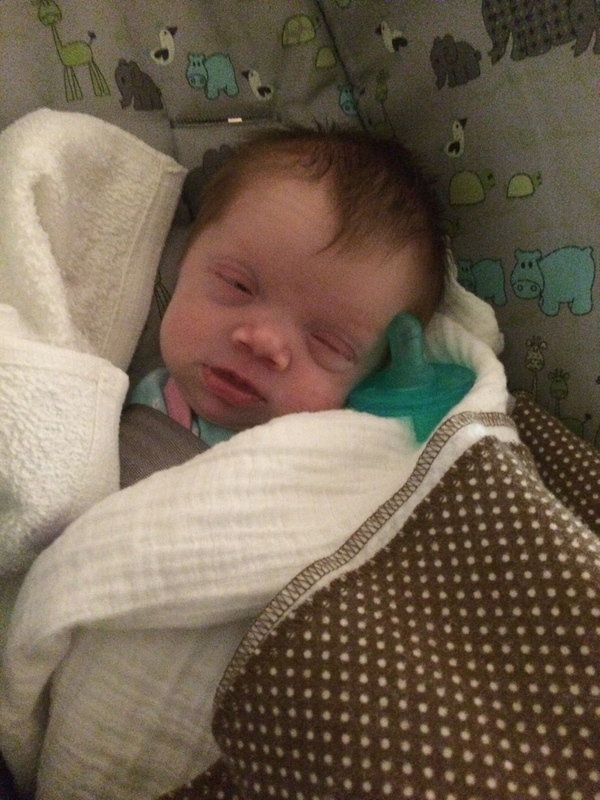 When the doctor came by, he said that as long as she gains weight overnight that she will get to go “home” tomorrow!! 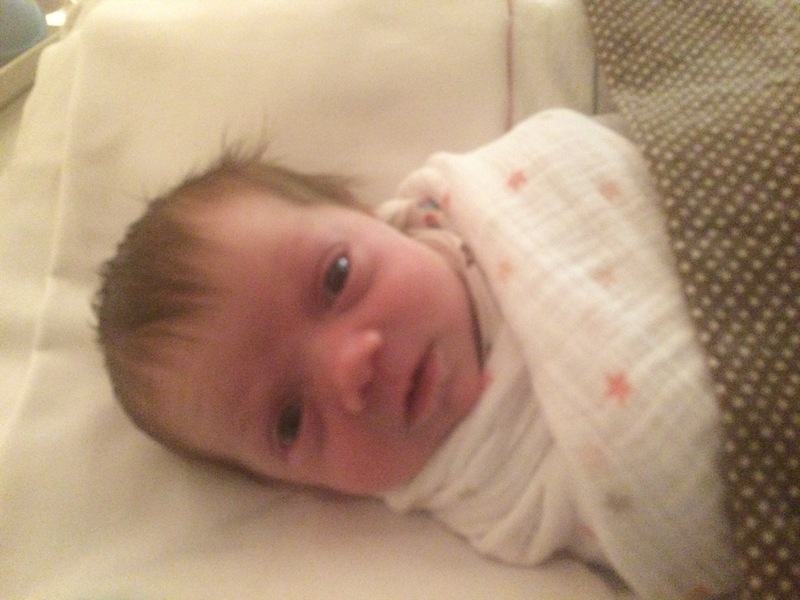 She still weighs 5 pounds 13 ounces so she’s not back up to her birth weight yet. Since her pretty little face is finally fully visible I brought the good camera in and took a couple more pictures – she is so beautiful!! 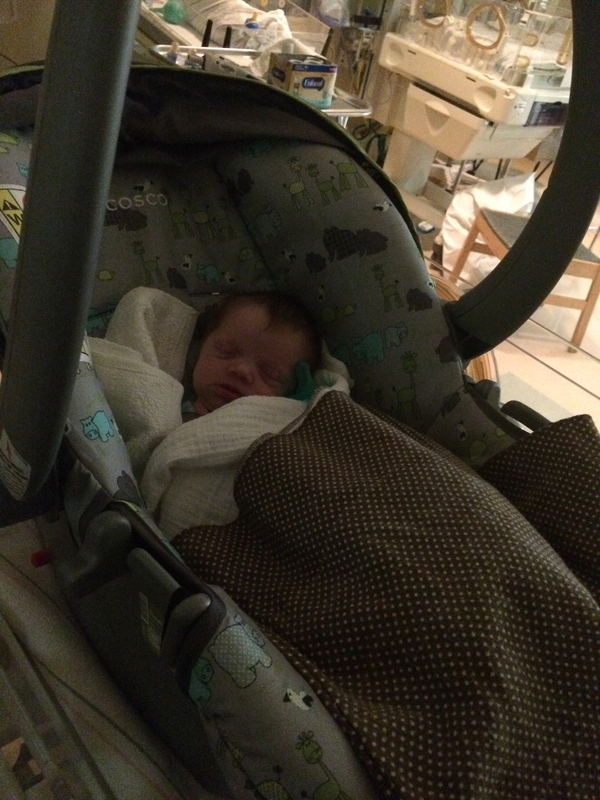 We brought in her car seat so she could take the “car seat test” – babies in the NICU have to do this before they will let them go home. Basically they just strap them in the car seat for a set amount of time (an hour at this hospital, some hospitals apparently do it for however long the drive home is, some do 90 minutes) while they’re hooked up to all of the monitors to make sure their heart rate, respiratory rate and oxygen saturation stay up – that they can tolerate sitting in the upright-ish position and being strapped in, etc.